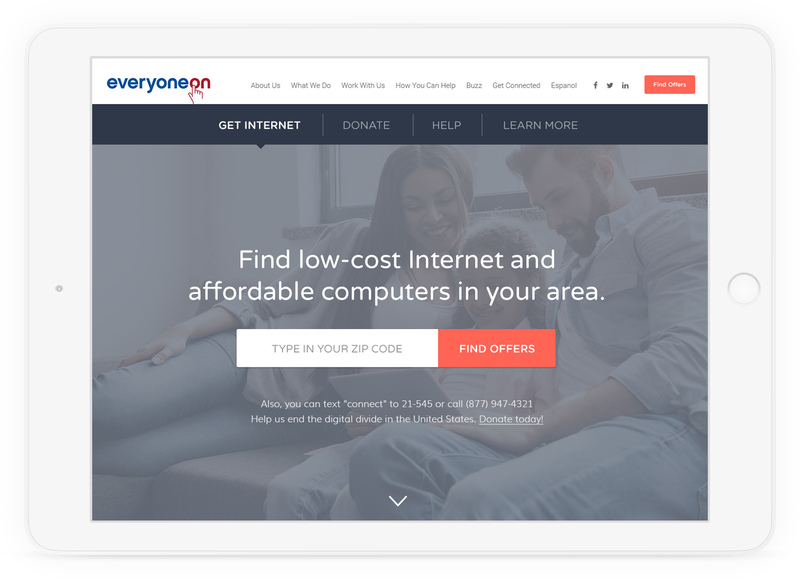 EveryoneOn is a national nonprofit that creates social and economic opportunity by connecting everyone to the internet. They’ve connected more than 600,000 people since 2012. 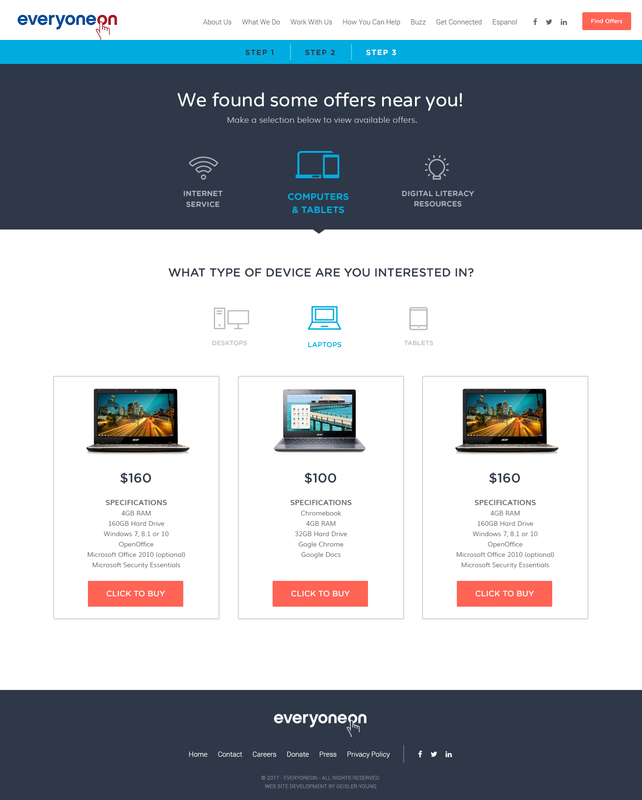 We developed a custom Web site for EveryoneOn that allowed visitors to find affordable Internet access. Behind the scenes, we built the system that pre-qualified applicants based on several low-income indicators. If service was available in an applicants area, they were allowed to register for Internet access. 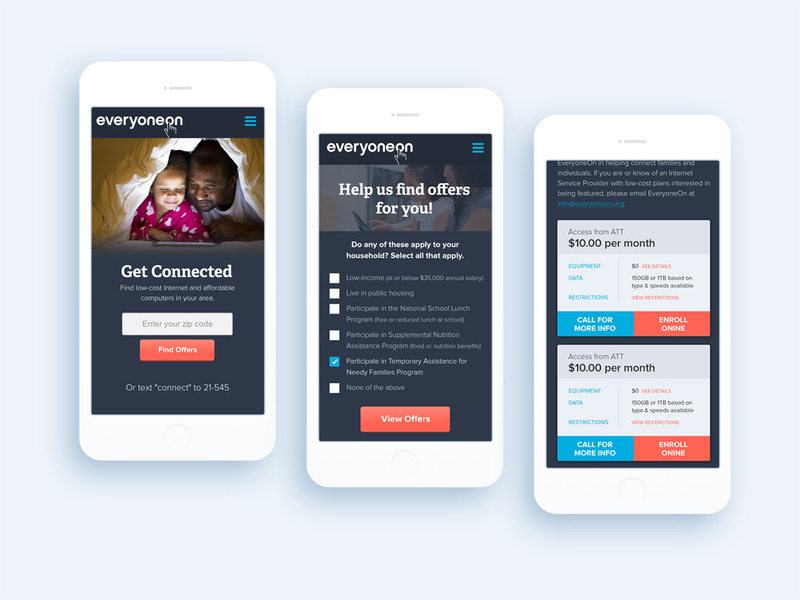 We also built a custom iOS and Android app that allowed consumers without access to computers to apply for Internet access, purchase a discounted computer and find nearby training locations for digital literacy.